Nukappia is a young boy who makes the journey from his adoptive home in Ottawa to visit his biological family in the north. After spending one night in town with his uncle, the two set off to walk along the shoreline to meet his family at their summer campsite. Along the way Nukappia is introduced to some of the plants and animals that inhabit this shoreline ecosystem. Along with a photographic and written description of the plants and animals mentioned in the book, a list of their traditional Inuit uses is included in the glossary. A section describing landforms and tools used by the people in the area also makes the content more accessible to young students. 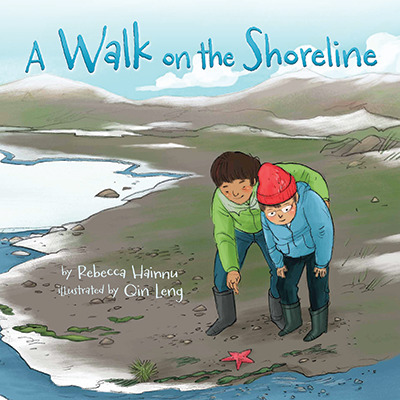 Classroom Connections: A Walk on the Shoreline would support a study of the Canadian North and addresses some of the Science and Social Studies learning standards for the primary grades. This review is from Canadian Teacher Magazine’s Sept/Oct 2016 issue.